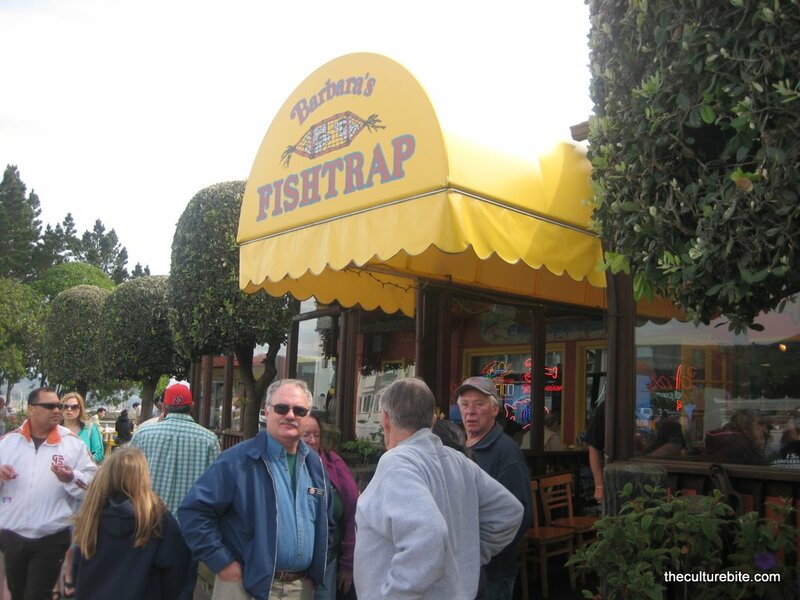 Whenever it’s a sunny day in San Francisco, I think about making a trip to Half Moon Bay to eat at Barbara’s Fish Trap. It’s such an event to eat fish n’ chips and clam chowder in Half Moon Bay. I could just plan a whole day around lunch at Barbara’s and stopping at a few of the many beaches off of hwy 1. The wait at Barbara’s is LONG! There’s not much in Princeton, but when you drive through the main road, you’ll see a huge crowd standing in front of one restaurant, and that would be Barbara’s. If you can’t stand the wait, you could wait in a shorter line, but still long, at their take-out stand on the left side of the restaurant. The staff isn’t too friendly here though. I don’t think our waitress said anything to us except for “boxes?” at the end of our meal. Food is not cheap at Barbara’s, but it’s completely worth it. The total amount for K and I came out to almost $30. They have a huge menu with tons of selections ranging from pasta, burgers, and grilled and fried seafood. Clam Chowder – Their non-dairy clam chowder is so unique, I’ve never had anything like it. Despite the lack of milk and cream, this clam chowder is thick and creamy. It’s seasoned with lots of thyme and sage so it tastes just like my dad’s Thanksgiving stuffing. It’s loaded with big chunks of clams, lots of celery and onions. So good! Fish n’ Chips – This is probably one of the best fish n’ chips I’ve ever had. The massive pieces of fish are so flakey and juicy and the batter is thin and crispy. Really, a must get if you try this place. Calamari – Nothing too special about these. The fried calamari is just like any other fried calamari, but still good. I’ve been coming to Barbara’s all my life, so it has a certain comfort level with me. I’ve been wanting to try Sam’s Chowder House, so I check that out on my next visit.